Jean Hamburger from France had named the term " Nephrology" for study of kidney diseases. A pioneer in the field of kidney diseases, Dr Hamburger was a pioneer in the early times of dialysis and transplantation. He was a pioneer in nephrology, coined the term intensive care medicine and was a pinnacle for humanism in medicine. He is considered the father of French Nephrology. If he coined the term- he is the father of nephrology for all of us. 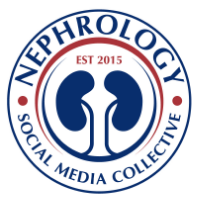 Lets celebrate the history of nephrology this month - the National Kidney Month-- or rather World Kidney month with respect to him. Check out other historical interest blogs. Dr. John P. Merrill is considered the father of Nephrology as a specialty. Homer Smith is the father of Renal Physiology.